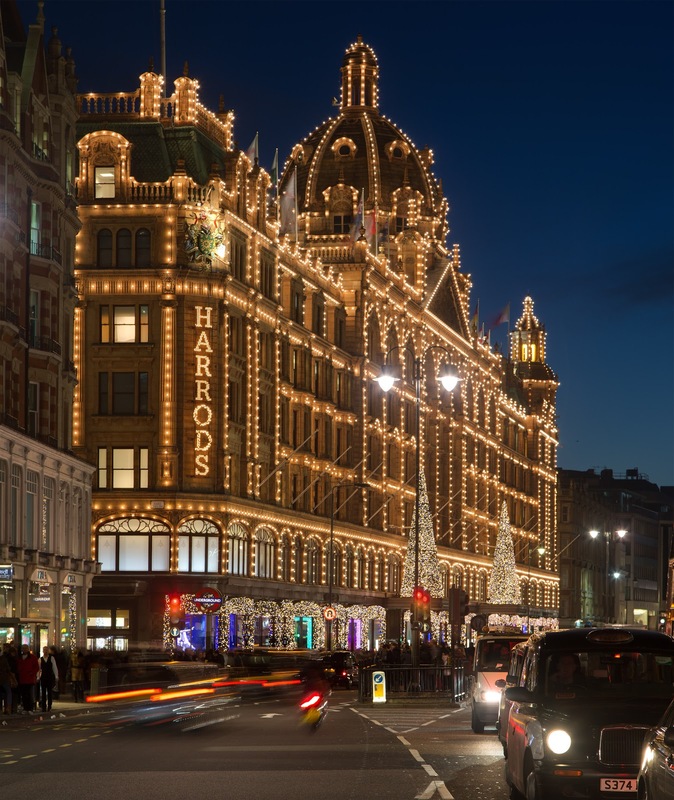 London's iconic Harrods glistens with the warmth of Christmas. Photo: WikiMedia.org. There is no better place in the United Kingdom to prepare yourselves for Christmas and infuse your family with the festive holiday spirit than the beautiful capital of London. Spend a weekend in the city to take full advantage of all the holiday happenings with so many options in the heart of the city, meaning you won’t miss out on any of the holiday action! 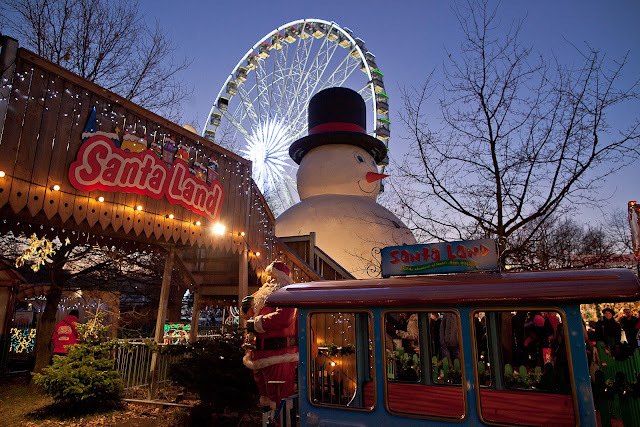 Holiday magic awaits at the Hyde Park Winter Wonderland. Photo: Courtesy of HydeParkWinterWonderland.com. Simply the number one attraction in London during the festive season and an absolute must for families big and small, the Hyde Park Winter Wonderland returns once more during the run up to the holidays, to provide its visitors with a true taste of Christmas and a great big dollop of festive spirit. 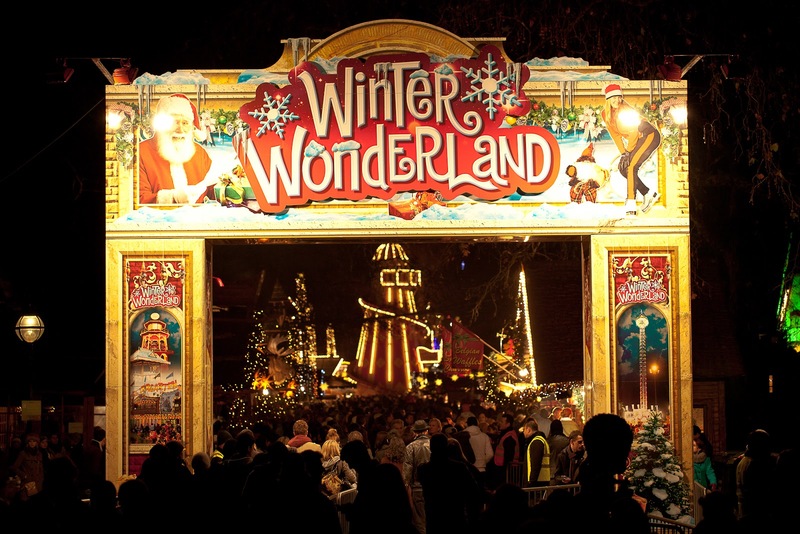 Welcome to Hyde Park Winter Wonderland of Holiday Magic. Photo: Courtesy of HydeParkWinterWonderland.com. From Zippo’s Circus events throughout the duration, to rides on the towering observation wheel, there is something for all the family to enjoy. Entry to the wonderland is, most importantly, free to all, but if you want to enjoy the additional attractions, you should book tickets in advance to avoid disappointment. The winter wonderland of Hyde Park. Photo: Courtesy of HydeParkWinterWonderland.com. Wander the rustic Christmas markets before popping in to say hello to Santa. Explore over 500 ice and snow statues in the new exhibition, The Magical Ice Kingdom. Test your skills on the ice rink or enjoy a glass of mulled wine as you admire the lights and smells of Christmas. 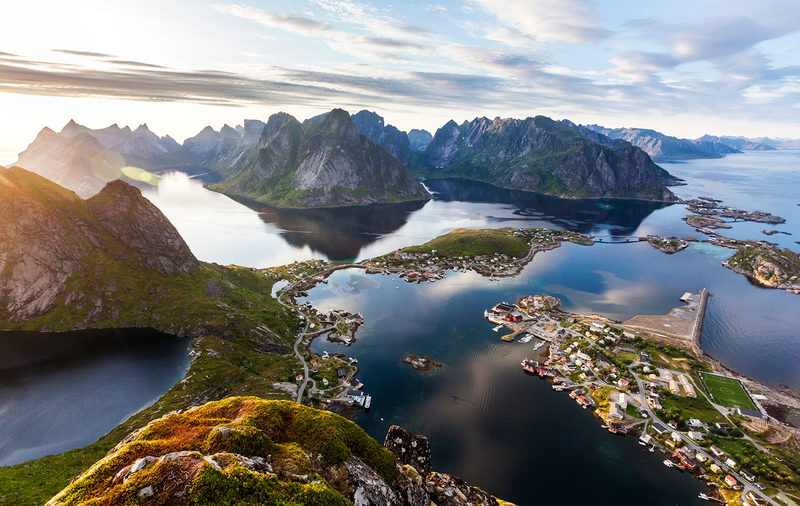 Whatever your reason for discovering the wonderland, you’ll be sure to love every moment. Imagine skating at this fairy-tale castle's courtly rink surrounded by a magical kingdom of ice! Photo: Courtesy of HamptonCourtIceRink.com. Visiting Hampton Court any time of year will enable you to appreciate this wondrous palace and all that it holds. 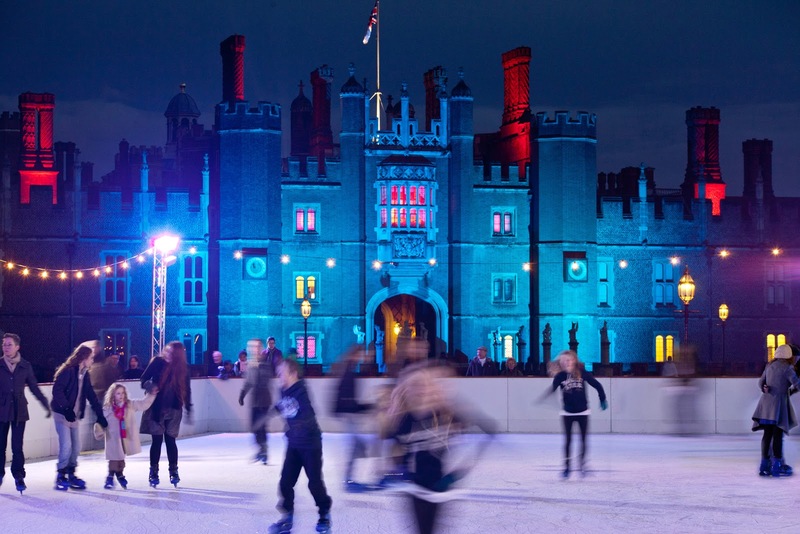 During the summer months, explore the castle and maze within the grounds, but during the winter time, Hampton Court is transformed and the Hampton Court Palace Ice Rink comes to life. With an outdoor ice rink that will keep anyone’s fingers tingling as they skate, and the majestic palace as a backdrop, you can feel the magic of Christmas as the snow gently falls. Imagine your child's face when he or she visits with Santa at Harrods this holiday season. Photo: Courtesy of Harrods.com. Although the upscale market and luxurious department store that is Harrods only allows you to allocate yourself a spot to see Santa if you’re a Rewards member, there are still plenty of grottoes around the city to which you can take your young ones. Try Selfridges on Oxford Street and see the smile light up your child’s face as they tell Santa what is on their Christmas list this year. We hope you enjoy this most joyous season of the year with your family and friends in the magical winter wonderland of London. Happy Holidays! I can't ice skate AT ALL. However, this just seems like it would be fun to do in London! Hi there my friend and thx so much for stopping by! I will teach you how to skate once we get there, so don't worry my friend. I have you performing like an Olympian soon enough! I just got back from London yesterday. The decorations and events are just starting, but in a couple of weeks they'll be amazing. Would love to go back during the holiday season. Hi there Laurel and thanks so much for stopping by. I too hope to visit during the holiday season! 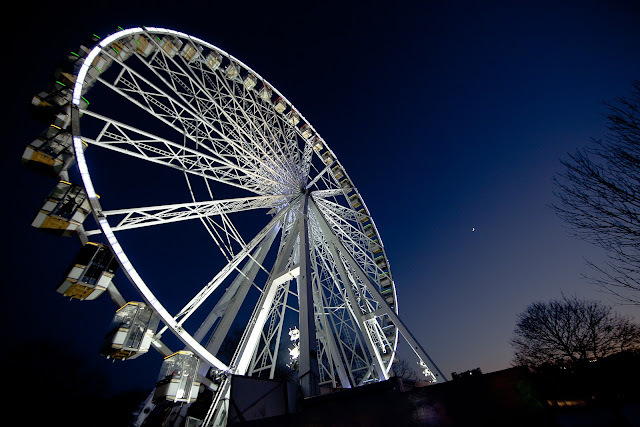 The Ferris wheel looks amazing! Hi there Marisol and thank you so much for visiting and sharing your thoughts! I agree, London is fun no matter what the occasion! Convent Garden is also a great place to visit. Hi Kat and and thanks so much for sharing your London town experiences! 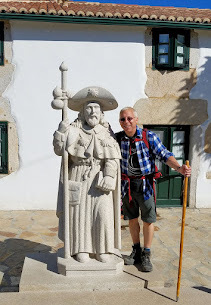 I bet the Christmas market was glorious...and thank you my friend for sharing your link with my readers! I will definitely make the trip into London from Oxford for some Christmas festivity. Thanks for the tips! Hi there Angela and thank you for stopping by. Please let me know what you think if you visit any of the places mentioned above. Would love to hear your thoughts. If you have any pictures to share, just let me know...I would love to feature them right here! Thanks again. Awesome post...we will be there just before heading home for Christmas and will definitely check some of these out. Thanks for sharing! Hi there Travis and thank you so much for stopping by and for your words. Please let me know how how you make out with some of these exciting holiday events in London. I would love to publish some of your pics as well. Thx. again! It was my first time to visit London when we watched a theatre show there. Good thing my friend and I made it to the line in getting passes from royal albert hall box office! Sounds like fun Brooke! I am glad you made it too! Thank you so much for stopping by and sharing your stories! Another inspiring story. You are making our planning for travels so much easier. Gorgeous photos again. Keep them coming my friend. Hi there Paula and Gordy. Thank you for your kind words my friends!! 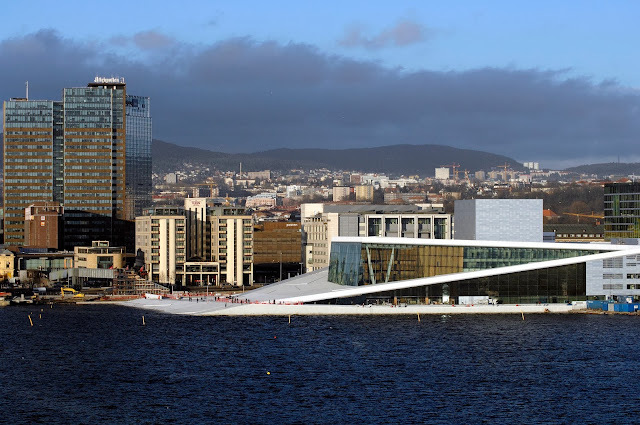 And I am THRILLED that you will be sailing on Brave Bart next September! I can't wait to follow along on journey. I want lots of pics and one pic of you with Diane!